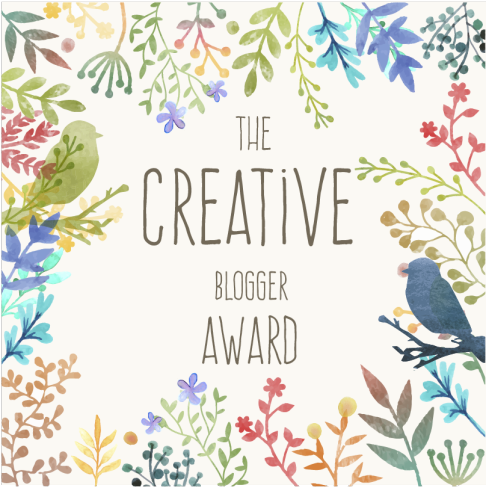 I am sending out a big thank you to Taylor at Peas Romaine Calm for nominating me for the Creative Blogger Award. I love Taylor’s blog! It is so cute and creative and her photos are amazing. I love all her little graphic designs on her photos. Here are my five nominations for the Creative Blogger Award. It was hard to choose only five as there are so many wonderful blogs I come across and enjoy reading. ~Carolina at Cisneros Cafe. I love her faith based blog and her encouraging words she shares with others. Check it out for some daily encouragement. ~Hannah at Love the Little Bakery. She loves to bake, she is messy in the kitchen and wants to travel. Her blog is so cute! ~Wee Blue Mixer. What a cute blog! She lives in a cottage in Scotland (how cool is that)? She shares lots of wonderful recipes and amazing photos. ~Leen Cuisine. She is so creative. She is obsessed with recipes from her family and is cooking through all of them! ~This Happy Mommy. I love all her photos and her healthy recipes. Everything looks amazing. Plus she is a new mommy. How exciting! I am a Native Texan! I love NYC and would go visit every year if I could. I love God, my 3 girls and wonderful husband! Breakfast Tacos are one of my favorite things to eat. I eat one at a local favorite restaurant at least once a week, or twice. Okay, maybe even three times! YUMMY! Thanks again Taylor for nominating me and love reading your blog!